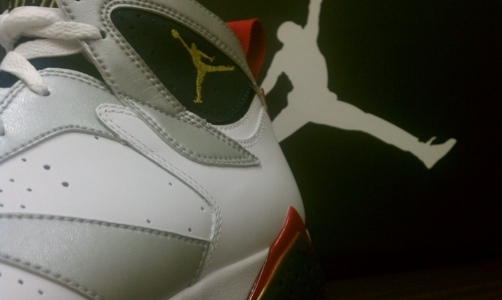 Over the last couple of weeks the build up to the 2012 Olympic Summer Games within the sneaker community has been filled with a wide array of Olympics inspired releases. 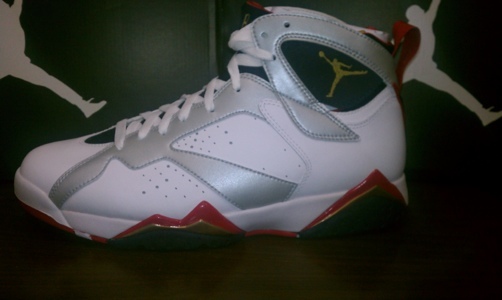 Besides the Golden Moments pack that is on the horizon, releasing this Saturday is perhaps the most popular shoe of the bunch, the Air Jordan Olympic 7s. 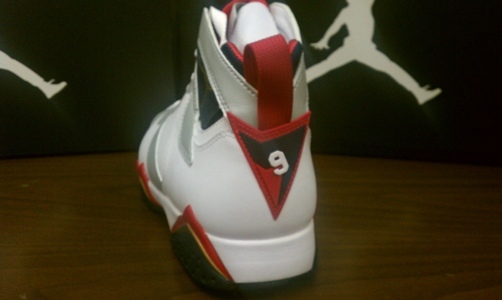 The Olympic 7s travels all the way back to the 92 Olympic Games, where the original Dream Team(best basketball team ever assembled) destroyed the world en route to the gold medal. 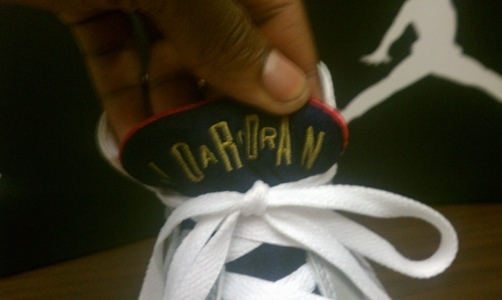 Those old enough to remember can relieve the original Dream Team when they go out this Saturday and grab a pair. 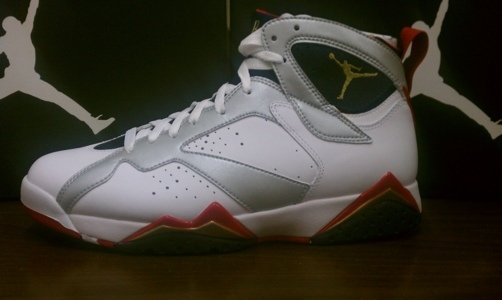 Be sure to get out early because the lines for these will be insane! 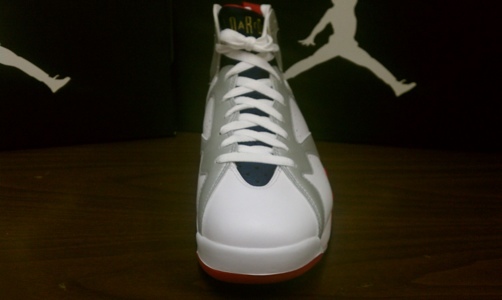 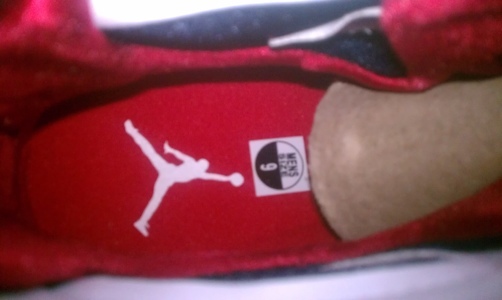 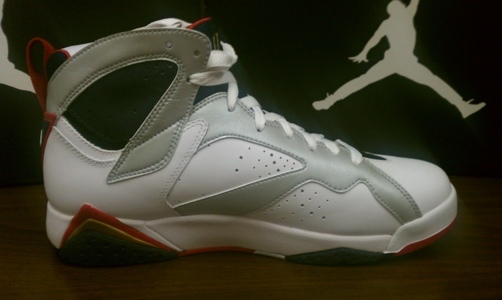 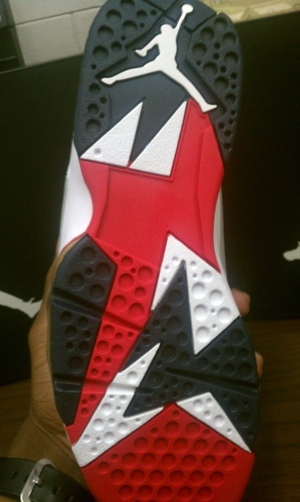 Check out the detailed images below and let us know what you think about the Air Jordan ‘Olympic’ 7s.